Here’s your Chicago Stories February Puzzler! 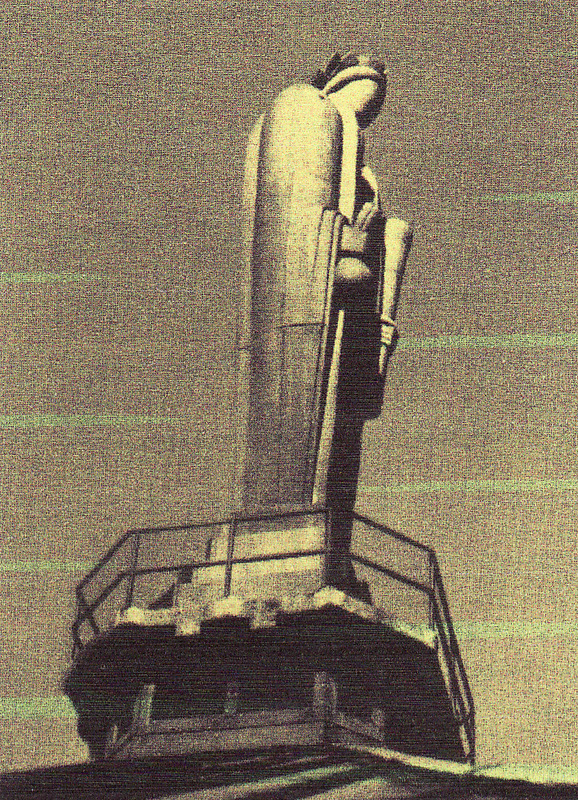 Check the picture of the statue. Now, click on “Leave a Comment” and enter your answer. I’ll reveal the solution in a couple of weeks. This entry was posted on Tuesday, February 12th, 2013 at 12:40 am	and posted in Around Town. You can follow any responses to this entry through the RSS 2.0 feed. Goddess of Grain and sits on top of the Chicago Board of Trade. Why, thank you, young lady. Yes! Yes! Thanks, Young lady. Keep them answers comin’. I am Ceres, the Roman goddess of grain, and I sit atop the Chicago Board of Trade building. I hold a sheaf of wheat in my left hand and a bag of corn in my right hand. I am glad you are interested in me. Perfect! Thanks Mary and I love how you got right into character!